I liked the room, it was nice. The location is good, near the beach. The personal was polite. Wi-Fi connection in the room was pretty good too. Good price, good location, good staff, good about storing our bikes. Easy taxi ride to airport for early morning flight. Helpful and friendly staff. 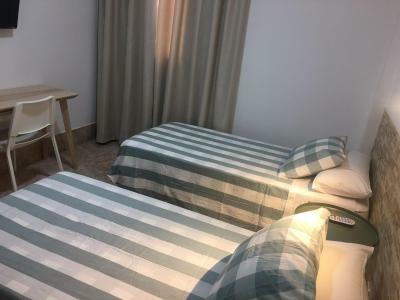 The hotel, while basic and no frills, (there are no tea/coffee facilities in the room and only vending machines for drinks/snacks) provides an excellent base if you are wanting to stay centrally and go off to explore the island. The reception is manned 24/7 by really friendly staff - be ready to test your Spanish skills as the lovely couple who greeted us on arrival, made sure we did most of our transaction in Spanish (which we appreciated as we tried hard to use what little we know throughout our excursions and restaurant adventures on the island). The beds were really comfy and the room was spacious and clean. 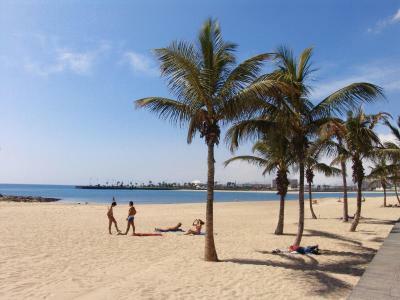 Overall, a really good value for money and it was nice to stay in Arrecife in a more local setting, with the local folk, rather than the hyper-Brit- touristy resorts offered in Puerto Del Carmen, Playa Blanca and Costa Teguise. On the website it says there is wifi in the room. That is not the case, only at the reception. 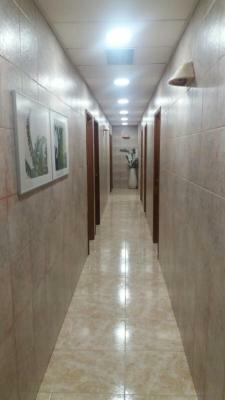 Super cheap, located in the middle of block on silent street 2 minutes walking from sea. It was comfortable and you get what you paid for. 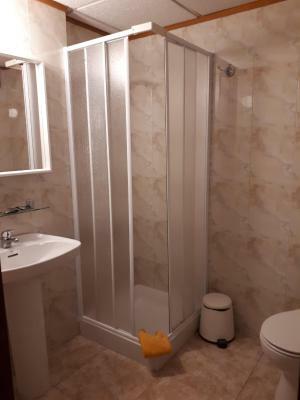 It was also clean, I would recommend it because it's of great value and it's not fancy but it's good. 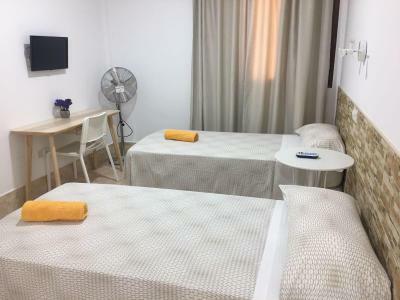 Location is good, in the centre of Arrecife, close to the beach and close to the highway, so it was a 10-15 minutes ride to the airport. Parking is difficult to find, almost impossible in the streets nearby. Although the furniture in the room is outdated, I was surprised the the matrass looked quite new and it was fairly comfortable. Hostal Residencia Cardona This rating is a reflection of how the property compares to the industry standard when it comes to price, facilities and services available. It's based on a self-evaluation by the property. Use this rating to help choose your stay! 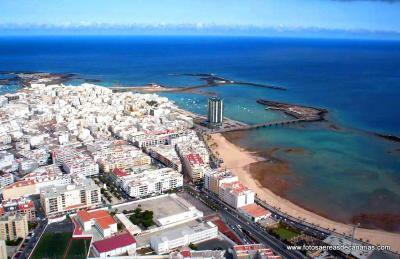 The Residencial Cardona is located 350 feet from Reducto beach, right in the heart of Arrecife. 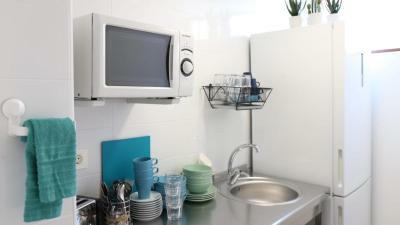 Every room is equipped with private bathroom, free Wi-Fi and TV. 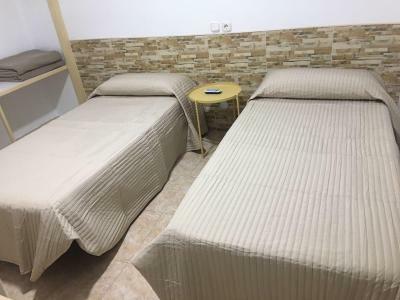 The Residencial is 10 minutes walking from Arrecife Port with destination services to Gran Canaria and Fuerteventura, Lanzarote Airport is 3.1 mi away. 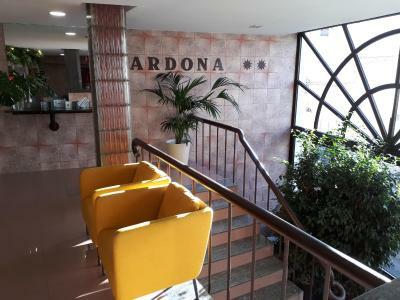 Residencial Cardona offers a dining room with all enough cookware for the use or our guests. Vending machines are also available for quick snacks and drinks. 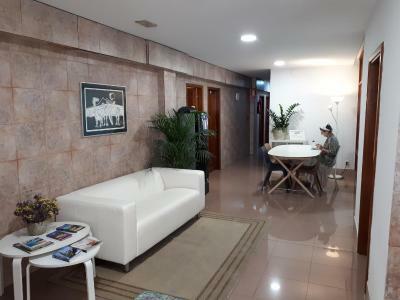 Residencial Cardona has a 24-hour front desk. The hotel also has a storage room, ideal for surf boards and bicycles. 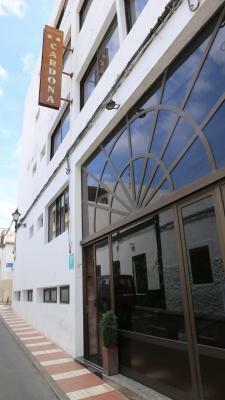 When would you like to stay at Hostal Residencia Cardona? 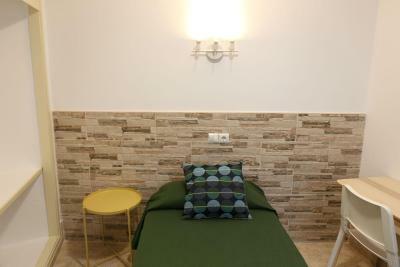 This simply decorated room has a TV with WiFi and a private bathroom. 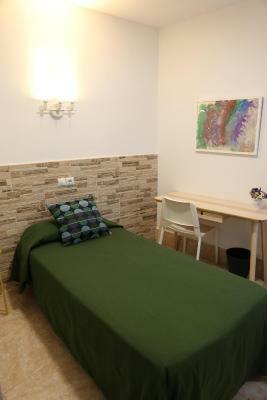 House Rules Hostal Residencia Cardona takes special requests – add in the next step! 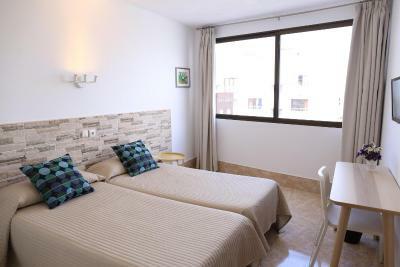 Hostal Residencia Cardona accepts these cards and reserves the right to temporarily hold an amount prior to arrival. Please note that cleaning is done every other day, as well as towel change. 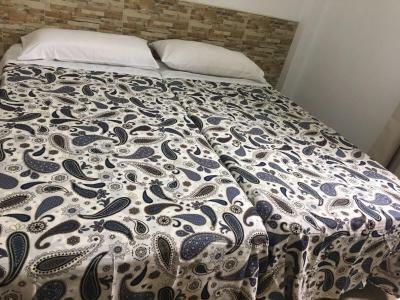 Bed linen is changed once per week. 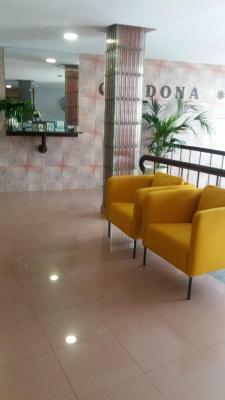 Please inform Hostal Residencia Cardona of your expected arrival time in advance. You can use the Special Requests box when booking, or contact the property directly using the contact details in your confirmation. The place is a shambles, noisy and is very expensive, staff are terrible and the whole place is like building site. No kettle for tea and coffee in room. 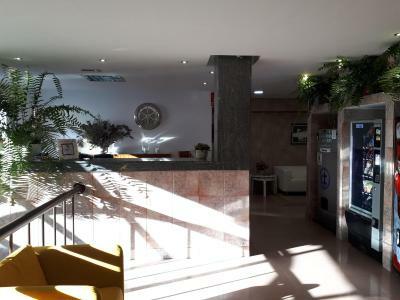 Staff at hotel very good and friendly , the was spotlessly clean and the location ideal . Uncomfortable bed,very basic room.View of the windows of other rooms opposite. Location was not too bad. Spotless room. Cleaners do a fantastic job. Friendly check in. Not having a kettle in the room. Beautiful and very clean hotel. The coffee from the dispenser is just horrible. Economic, clean and perfectly situated when you have an early fly. The coffee room could be a bit bigger - in can be a bit crowded during breakfast. 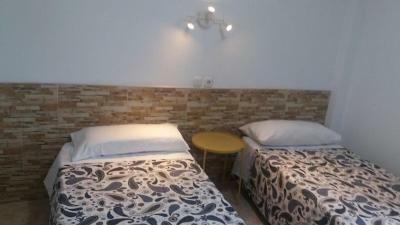 Very clean, big rooms, nice staff. As many said here, the walls are pretty thin, but it didn't bother me too much. 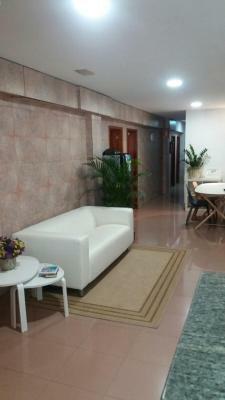 Good location, clean, and lockers provided for your luggage if you want to arrive/leave outside of check in/out. Very noisy.People shouting and arguing out side early morning. Think they were hotel guests waiting for their lift to work. Basic room but comfy bed.